**Available from 21/09/2019** **£72 Per person per week** **8 BEDROOM FLAT** **2 BATHROOMS** **Inclusive of bills / Internet** Leadmill Point is a popular student accommodation perfectly located in Sheffield city centre, a short 2 mins walk to the Sheffield Hallam city campus. **Available from 21/09/2019** **£72 Per person per week** **6 BEDROOM FLAT** **2 BATHROOMS** **Inclusive of bills / Internet** Leadmill Point is a popular student accommodation perfectly located in Sheffield city centre, a short 2 mins walk to the Sheffield Hallam city campus. **Available from 21/09/2019** **£72 Per person per week** **5 BEDROOM FLAT** **2 BATHROOMS** **Inclusive of bills / Internet** Leadmill Point is a popular student accommodation perfectly located in Sheffield city centre, a short 2 mins walk to the Sheffield Hallam city campus. 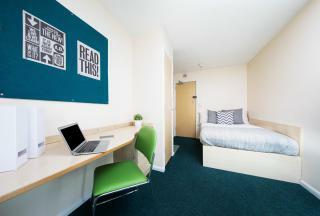 **Available from 21/09/2019** **£98 Per person per week** **Ensuite Rooms** **Inclusive of bills / Internet** Leadmill Point is a popular student accommodation perfectly located in Sheffield city centre, a short 2 mins walk to the Sheffield Hallam city campus & across from the train station. **Available from 21/09/2019** **£72 Per person per week** **4 BEDROOM FLAT** **Inclusive of bills / Internet** Leadmill Point is a popular student accommodation perfectly located in Sheffield city centre, a short 2 mins walk to the Sheffield Hallam city campus & across from the train station. **Available from 21/09/2019** **£72 Per person per week** **FLATSHARE** **Inclusive of bills / Internet** Leadmill Point is a popular student accommodation perfectly located in Sheffield city centre, a short 2 mins walk to the Sheffield Hallam city campus & across from the train station. 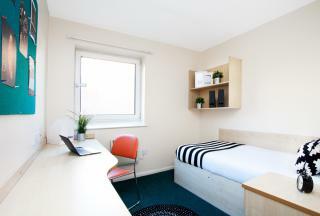 **Available from 21/09/2019** **£98 Per week** **Ensuite Rooms** **Inclusive of bills / Internet** Leadmill Point is a popular student accommodation perfectly located in Sheffield city centre, a short 2 mins walk to the Sheffield Hallam city campus & just across the road from the train station.